Bitter & Wittmack: Bot. Jahrb. Syst. 50, Beibl. 548. 1914. Solanum kurtzianum (kurtzianum, in honor of German botanist Fritz Kurtz) is a wild potato species from Argentina. Subramanian (2017) found that at least some accessions of this species have unusually low calcium and potassium content and extremely high dry matter. This species can survive frosts down to 26 degrees F (-3.5 C) (Li 1977). 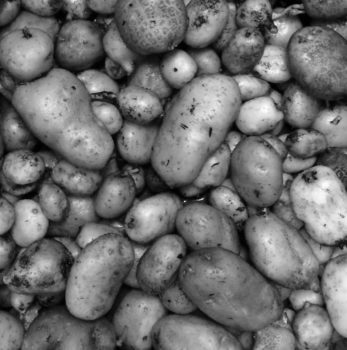 Vega (1995) found that this species is less frost tolerant than domesticated potato. Towill (1983) found that seeds of this species stored at 1 to 3 degrees C germinated at 72 to 96% after 26 years. Bamberg (1995) found that at least some accessions of S. kurtzianum are able to produce a significant amount of viable pollen even when temperatures exceed 100 degrees F for several hours during the day. Flowering was reduced under these conditions. Jackson (1999) found 6% 2n pollen from varieties of this species.